You know, sometimes I hate seeing that Thomas Hauser has published another article. That’s not because I don’t enjoy them. It’s not because they’re poorly researched. It’s not because they’re badly written. None of the above apply; Hauser is a fantastic writer. It’s because Thomas Hauser asks the questions that need to be asked which lead to the answers that we don’t necessarily want to hear. One of his main… I guess investigations is the correct term to use… over recent years has been the use of performance enhancing drugs in boxing and he has written confidently, authoritatively and intelligently on the subject. His latest excellent article can be found here (credit thesweetscience.com), with an extract below. It’s a brilliant but somewhat unsettling read but it is something every boxing fan should read and take notice of. Thus, it’s worth focusing on Edwin Rodriguez and the laudable commitment to 24-7-365 VADA testing that he recently made. In August of this year, Rodriguez signed with manager Al Haymon. At least three of Haymon’s fghters (Andre Berto, Antonio Tarver, and J’Leon Love) have tested positive for PEDs in the past. Another Haymon fighter (Peter Quillin) was enrolled in a USADA testing program prior to his June 2, 2012, fight against Winky Wright. Then, after blood and urine samples were taken from both fighters, Wright was told that the testing had been abandoned and the samples were destroyed. Haymon also represents Adrien Broner. Broner, Antonio DeMarco, Golden Boy (Broner’s promoter), and the United States Anti-Doping Agency signed a contract for USADA testing prior to the November 17, 2012, Broner-DeMarco fight. But according to DeMarco, he wasn’t tested by USADA for that bout, nor was Broner. Then, on June 22, 2013, Broner fought Paulie Malignaggi. It all started with the Daily Mail. Briefly the twitter, blog and forum ‘osphere (or whatever it is we call this strange online world our words inhabit) burst into life about the bout. But they tended to forget the story came from the Daily Mail and as such, stood a good chance of being wrong. And just as quickly as they started, Team Khan moved to quash them. 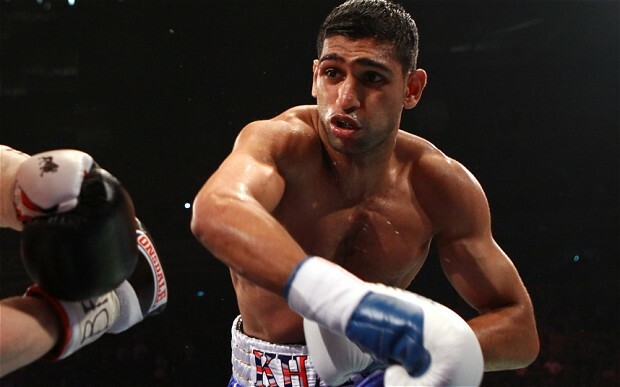 Team Khan would like to dispel recent reports that Amir Khan has pulled out of a potential match-up against IBF welterweight champion Devon Alexander on December 7th, taking up a fight against Floyd Mayweather in May of next year instead. Contrary to this story, Amir Khan is currently in training camp in San Francisco with the aim of fighting again in December against Alexander once an agreement can be reached. Where we were this morning. We know the Khan/Mayweather bout is one that the powers-that-be would like to make and we know there are some difficulties in making Khan vs Devon Alexander.